March 12, 2011 - The House of Representatives will soon debate and vote on the FAA Reauthorization and Reform Act of 2011 (H.R. 658). Hidden deep in this legislation is a provision that would overturn the National Mediation Board’s (NMB) new voting rules for the nation’s airline and railroad workers. Sponsored by GOP House Transportation Committee Chairman John Mica (R-FL), the provision would eliminate the new democratic voting guidelines and restore a process that has been used for decades by corporations to defeat union organizing efforts in the transportation industry. 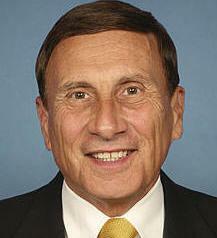 John L. Mica is the U.S. Representative for Florida's 7th congressional district, serving since 1993. He is a member of the Republican Party. He is the chairman of the House Transportation and Infrastructure Committee, starting January 3, 2011. Mica was a member of the Florida House of Representatives for two terms from 1976 to 1980. The Orlando Sentinel named Mica the 4th most powerful person in Central Florida. Mica's base salary in Congress is $165,000. His financial disclosure sheet for 2005 showed assets of between $2.6 and $4.7 million, additional income between $37,000 and $130,000. Under the old NMB voting rules, any worker who did not vote in a union representation election was automatically counted as a vote against the union. The new NMB rule, which determines the outcome of representation elections in the same way as elections for the U.S. President, Congress and nearly all state representatives, was furiously opposed by the U.S. Chamber of Commerce and the Air Transport Association (ATA), the lobbying arm for the nation’s major air carriers. The new NMB voting does not, as opponents frequently claim, eliminate secret ballot elections. It simply allows a majority of voting employees to choose and eliminates the government’s unfair practice of assigning a preference to those voters who do not cast a ballot. Last year’s change to NMB voting rules was rightfully hailed as a major victory for workers’ democratic voting rights. The effort to reverse that achievement is yet another effort by a coalition of right-wing extremists seeking to restrict, reduce and eradicate collective bargaining rights nationwide. The new NMB voting rule is not “card check” or the Employee Free Choice Act and does not mandate unions or create minority unions. It does not, as opponents frequently claim, eliminate secret ballot elections. It simply allows a majority of voting employees to choose and eliminates the government’s unfair practice of assigning a preference to those voters who do not cast a ballot.